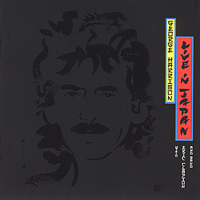 A double-disc SACD live set from 1991, digitally remastered and featuring a 12-page booklet with Harrison’s descriptions of each song. Selections include “Taxman,” “Cloud 9,” “Here Comes The Sun,” “While My Guitar Gently Weeps,” “Roll Over Beethoven” and many more. Customer Reviews (1.00 Stars) 1 person(s) rated this product. It is the worst sounding sacd I own. The disc's sound muddy and like george is singing in a cave. would not recommend.